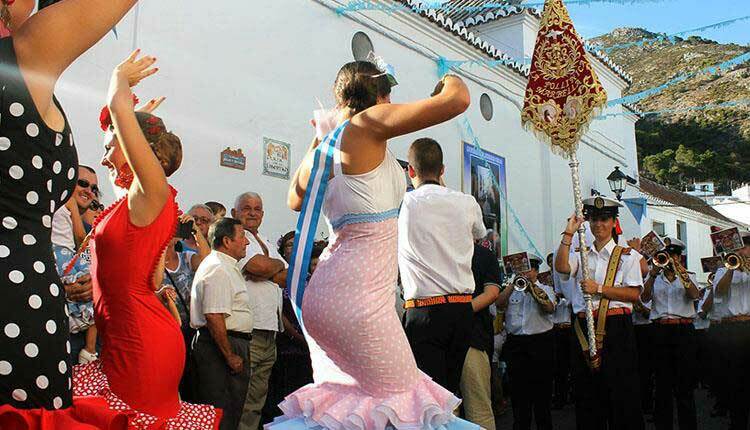 In the second week of September the fair of Mijas town is celebrated in honor of Our Lady the Virgin of the Rock – the Patron Saint of Mijas – with an plenteous program of culture, sport, musical and festive activities. It starts with a great procession of giants and masks wich crosses the main streets of Mijas town, Las Lagunas and La Cala and their respective ladies of honor, and it finishes with a celebration in the town hall. On the 8th September the traditional floral offering to the Virgin, a procession of the image of the Virgin of the Rock is made from the parochial temple to its sanctuary. Then there is a firework display, and another one to mark the end of the Feria.